I am not one of those no-candy-at-Halloween people. When I was a kid, I was a count-out-all-of-your-candy-and-strategize-which-pieces-are-the-best-and-which-should-be-in-a-hostage-exchange-with-my-sisters kind of kid. As an adult, I’m sad that we live in an apartment complex without trick-or-treaters–I’d love to buy bags of candy and open the door a million times in one night. No really, I mean it! And of course, I always manage to pick up a few treats for John and myself. Dressing up is nice, but candy is really part of the fun and nostalgia of the holiday! Of course, you shouldn’t down wads of candy every day, for your teeth, your waistline, and your health, but the reality of this time of year is you’re probably going to eat a little extra sugar right about now. (Maybe you’re chomping on a peanut butter cup reading this. I wish I was!) Still, no one wants to look like a jack o’lantern by the end of Christmas! Make sure that you and the kids (especially the kids!) have a teeth brushing regimen. Teeth should be brushed at least twice a day using a soft toothbrush. Especially if you live on well water that is not fluoridated, you should make sure that your toothpaste and mouthwash have fluoride. It’s tough to get children to floss, and it’s easy for adult to overlook it when it comes to a busy schedule. Flossing helps to keep gums and teeth healthy by removing plaque. This is gross, but you shouldn’t share your toothbrush, cover it, or store it in closed containers regularly. Instead, after use, rinse your toothbrush with water and air-dry it in an upright position. And while we’re talking about MetLife, you should definitely know whether or not you are enrolled in dental care. You are not automatically enrolled in it when you are enrolled in DEERS, and you do not have dental care just because your active duty sponsor has on-base dental care. If you don’t have a dental plan, you can enroll in MetLife’s TDP by clicking here or here or calling 1-855-638-8371 Sunday 6:00 p.m. – Friday 10:00 p.m. (EST) except holidays. For all of the dependents out there, you will need to have your sponsor call and enroll you (I learned this one from experience!). Follow MetLife on Facebook and Twitter to stay in the loop when it comes to dental care for military families. 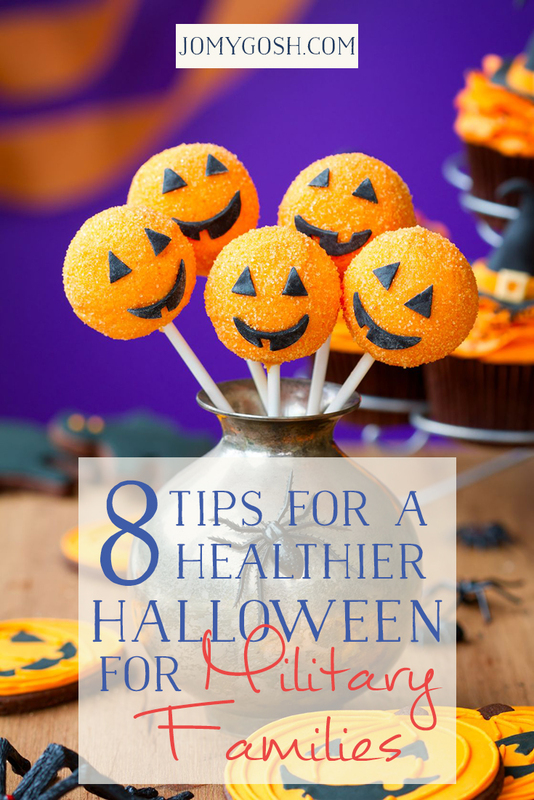 How do you keep your Halloween healthier while still indulging in the season? Leave your tips in the comments!